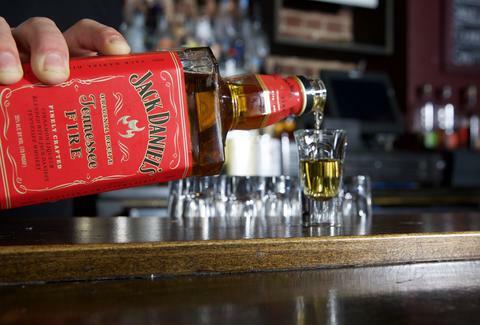 Back in 2011, Jack Daniel’s released Tennessee Honey, and things worked out pretty well when it became the first flavored whiskey liqueur to sell 1,000,000 cases. 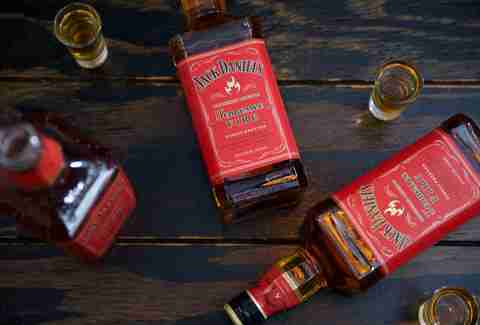 Now the Lynchburg distiller’s rolling out its scorching companion release -- cinnamon-flavored Tennessee Fire -- nationwide. If you like taking shots, you’re going to be happy. 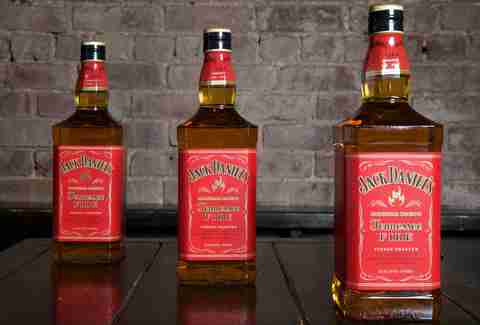 But if you’re looking for deeper reasons why Jack Fire makes a hell of a lot of sense… look no further, because we’ve got 7 of them. One rumor has it that he kept seven (hence “Old No. 7”). Whether or not that’s the exact count, it does make sense that his whiskey would have a little fun on the side with a hot little number. If it’s not on the flavor wheel of the core product (i.e., the whiskey), the distillery won’t mess with it. Cinnamon’s on that flavor wheel, as is the honey in Tennessee Honey. Not on that flavor wheel? Whipped cream, gummy bear, or sriracha-elderberry. Back in 1989, Jack Daniel’s lent support to the James Beard Foundation in its quest to turn its event-unfriendly townhouse into a full-on culinary center. The support came in the form of a temporary percentage of whiskey sales proceeds and a recipe booklet that included “blueberry buckle with cinnamon sauce” from then-rising and now firmly established star chef Stephen Pyles. Among the cocktails that contain both Jack Daniel’s and cinnamon is the Orange Ki, a recipe found in the Nobu West cookbook by none other than Nobu Matsuhisa. The recipe also calls for orange, apple, and almond. Frank Sinatra called Jack Daniel’s “the nectar of the gods.” Ancient Taoists considered cinnamon the food of the immortals; Middle Kingdom China actually thought it made you immortal; and the Roman emperor Nero is said to have burned a year’s supply at his second wife’s funeral, either to appease the gods or because he had a very lavish expense account for incense. His most famous song was “Great Balls of Fire.” His most whiskey song? 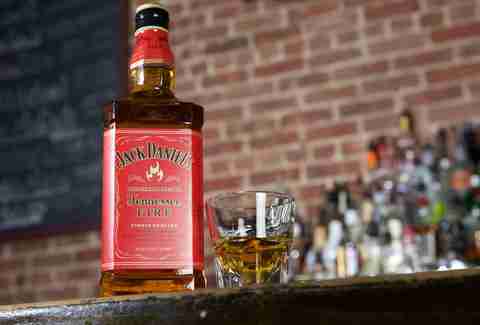 “Jack Daniel’s (Old No. 7)." Okay, bear with us (no pun intended, even though Roosevelt wrestled bears): In 1907, upon hearing a speech by Roosevelt in Nashville, Jack Daniel was so impressed with the President’s commitment to hard-working Americans he promised to send a bottle to his 2nd inauguration (in 1984, Jack Daniel’s even released an 80th anniversary bottle commemorating Roosevelt’s 1st inauguration). But Roosevelt also made commitments to hardworking non-humans. In 1908, he established the Lower Klamath Wildlife Refuge specifically to preserve waterfowl. Perhaps the most notable species that would probably be nonexistent today if he hadn’t: the Cinnamon Teal. Maybe that’s just a coincidence, but we’ll be you a shot that it isn’t.